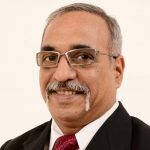 As technologies, methods, processes, analytics and cloud computing become omnipresent, omnipotent and omniscient, the business paradigms for IoT for the emerging economies would be expected to be radically different from those for economies with large financial strengths to support and utilise the technologies. The single biggest difference between the emerging economies and the developed world are handling the huge numbers of patients – at an affordable price with limited resources. Technologies being developed under IoT would address the problems of the developed world with small population, high payment capacity and high quality and suboptimal resource utilisation. The difference is stark. The technological perspective needs to adaptability, accessibility, affordability and ability to deliver the right solutions. The technologies that emerged in the developed world and are extensively used in the emerging economies such as desktop computing, mobile phones, the internet have proven their ability to reduce costs, engage manpower productively, and improve incomes across the various types of economies. The strategic significance of the IOT technologies for healthcare in the developed world are in terms of improvement in quality of service, while the significance of the same technologies for the emerging economies would emphasize the capability to service larger number of patients, at lower costs, in the shortest possible time, with minimal resources. It is worth examining the needs that IOT will bring out – different skills, different business processes and different healthcare processes – all with the same objective – to deliver the best of breed solution to the large population with extremely low capacity to pay. The pitfalls lie in trying to ape the usage patterns of the devices and technologies as used in the developed world without adapting them to the local requirements. An even bigger pitfall is ignoring the empowered customer – call him a patient or anything else. With the same tools available to him as the service provider, his on demand, self-service needs will change dramatically. The challenges lie in adopting, adapting, and assimilating the technologies and methods that will transform the way health parameters monitored, health interventions supported, healthcare is delivered, and health outcomes improved. The opportunities for IoT in emerging economies are large – from reaching, empowering and direct intervention in remote areas at an affordable cost, to well-targeted interventions, communities that can manage their own healthcare needs, to realistic health insurance, just to name a few. Director at 21st Century Informatics (India) Pvt. Ltd.